Gigabyte Passive Optical Networks (GPON’s) are networks which rely on optical cables to deliver information. GPON’s are currently the leading form of Passive Optical Networks. GPONS offer up to a 1:64 ratio on a single fiber. As opposed to a standard copper wire in most networks, GPON’s are 95% more energy efficient. 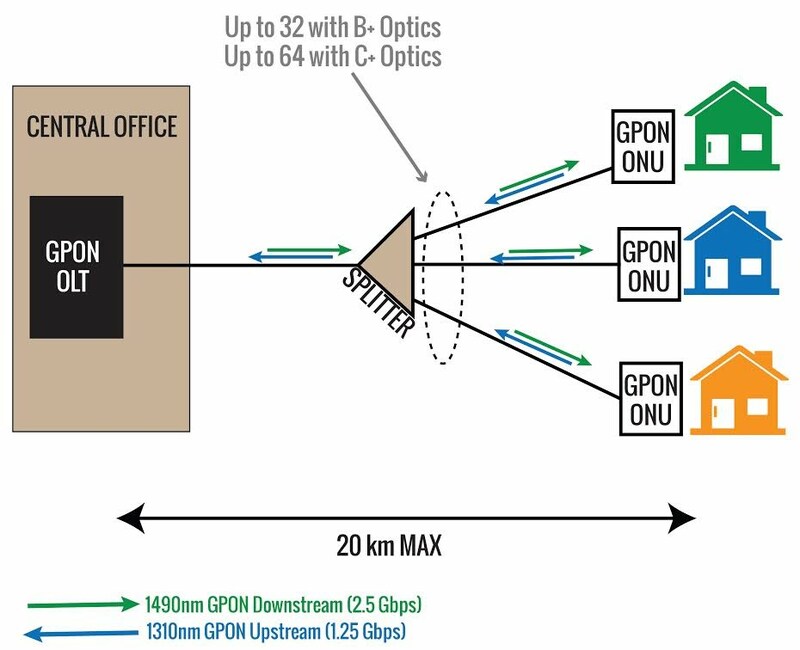 In addition to efficiency, gigabyte passive optical networks provide a low cost solutions to adding users through splitters which make GPON’s desirable in populated areas. A TDMA, time division multiple access, format is used in GPON in order to designate bandwidths to each ONU. Depending on the service provider and how they decide to allocate the bandwidth, each ONU can receive a downstream rate of 2.488 Gbits/s. The upstream rate however will receive less than its maximum due to the sharing of other ONUs. The ONUs will communicate with the OLT and it will determine the distance and time delay for every subscriber. To see more on how GPON works, click here.